Scientists at the University of Leedshave solved a 300-year-old riddle about which direction the centre of Earth spins. 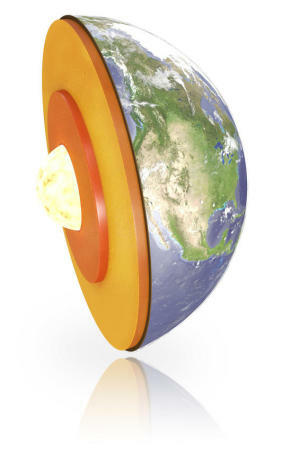 Earth's inner core, made up of solid iron, 'superrotates' in an eastward direction -- meaning it spins faster than the rest of the planet -- while the outer core, comprising mainly molten iron, spins westwards at a slower pace. Although Edmund Halley -- who also discovered the famous comet -- showed the westward-drifting motion of Earth's geomagnetic field in 1692, it is the first time that scientists have been able to link the way the inner core spins to the behavior of the outer core. The planet behaves in this way because it is responding to Earth's geomagnetic field. The findings, published today in Proceedings of the National Academy of Sciences, help scientists to interpret the dynamics of the core of Earth, the source of our planet's magnetic field.